How would you like to be instantly transported to Mexico and land right in the middle of a smashing Mariachi party? What if we tell you that the party has been put together by Realtime Gaming and there's a good chance you'll be walking away with more money than you had initially brought along? 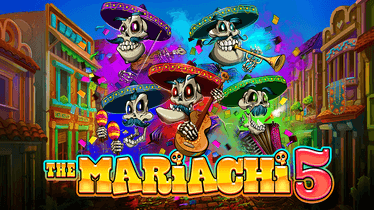 RTG's new video slot, The Mariachi 5, combines impressive visuals, dynamic musical background and lucrative features to create a fun and rewarding gaming experience. You'll be able to test just how entertaining and advantageous it can be as of 19th April, which is when the new game arrives to Grande Vegas. 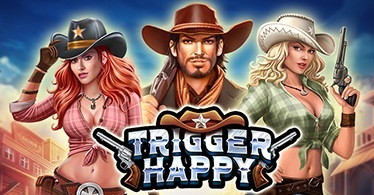 After releasing their mind-boggling “slot” Cubee and a Chinese-themed celebratory game Pig Winner, RTG has gone in a completely different direction with its latest title Trigger Happy. The new game is all about the dangerous accounts experienced by American westerners in their daily lives on the frontier and will be available at Grande Vegas from March 20th. While some are calling it “the strangest RTG game ever”, here at Grande Vegas we can’t wait to have it on display! The game is set for release on February 13th and until that day comes we can only imagine what this new exciting game will bring us. Well, it’s not all so secretive actually – we know some things about Cubee and we’ll share them with you. 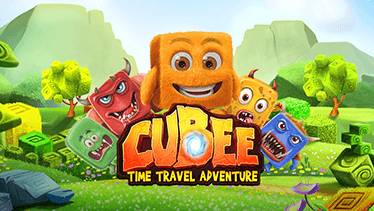 For one, it is known that Cubee will feature a Cudlee creature called, of course, Cubee. Our hero will be able to travel through time, eat energy balls and beat several enemies. Judging by the published images, the graphics are insanely good, arguably the best any RTG product has showcased recently. Cubee is furry and lovable, but also brave and ready or an adventure of a lifetime, or multiple lifetimes. Asian tradition is something that RTG has tackled before in numerous video slots which have come to enjoy great popularity among the players. The company is obviously still inspired by intricate Asian themes, as they are always abundant in symbolism and traditional aspects. 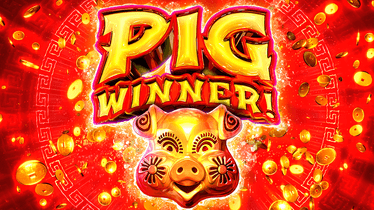 Their latest slot game called Pig Winner is another one to join the genre and shed light over the subject of the Chinese zodiac and the tradition of celebrating the beginning of a new year on the traditional Chinese calendar. History fans, get ready to take notes! 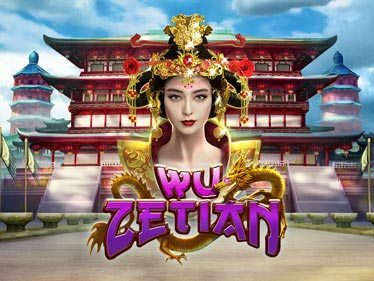 Real Time Gaming wants to introduce you to an astonishing female character from 7th-century Chinese history. Born in a wealthy family, but without any noble origins, Wu Zetian grew up receiving good education which was, highly unexpectedly for that era, very much supported by her father. She became a fifth-tier concubine in 636 in the palace of Emperor Taizong. She was his favourite, but he soon died and his successor was his ninth son Gaozong of Tang. Wu had to be confined to a monastic institution as she was a consort of a deceased emperor who had not produced children. Emperor Gaozong visited her while she was a Buddhist nun, fell in love with her and brought her back to the palace as his own concubine. Wu Zeitan was crowned Empress Consort of the Tang dynasty in 655.
Who would have thought that fishing could be so much fun? 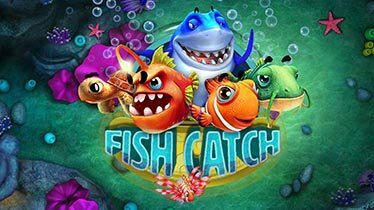 Real Time Gaming made it super entertaining in their brand new game called Fish Catch. No, this is not an online video slot machine! It is a completely different format of a gambling game which the developer refers to as a ‘shooting game’. But, before we break down the gameplay, let’s discuss what we can see on screen. RTG delivers a stunning visual presentation of marine life. It’s not quite clear if we’re looking at a pond, a river or an ‘under the sea’ area, but that doesn’t matter as the graphics are gorgeous and show all sorts of fish species. Naughty Or Nice the original and its Spring Break sequel have both made it to our „most popular“ list and more than once rewarded our players with substantial wins. That's why we're confident you'll be happy to learn RTG is about to launch a Christmas special called Naughty Or Nice III: Car Wash – the third game featuring Santa's lovely assistants up for all sorts of tricks. They are still as wild as ever, willing to occupy multiple positions and stick around while other reels re-spin. Free spins may be randomly activated or triggered by a specific symbol combination, but either way will give you a chance to win multiple times on a single bet. And if all else fails, one of the two progressive jackpots may fill your pockets with cash when you least expect it. With Plentiful Treasure hitting the online Grande Vegas casino floor, the term ‘treasure’ suddenly has a deeper meaning than just a pile of money or valuables. The idea of wealth is a part of Asian tradition and the video slot Plentiful Treasure from RTG incorporates many elements that can be associated with happiness, wealth, prosperity, and good luck. For one, the colour red is involved in the theme just like any of the symbols on the reels. In Chinese tradition red represents power, and it is believed that red brings wealth. It is attributed to royalty and it wards off the spirits of bad fortune. 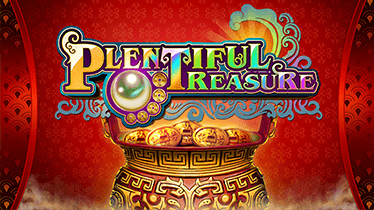 The background to Plentiful treasure is entirely red, which gets any players hyped and ready to begin their hunt for the greatest of Asian treasures. 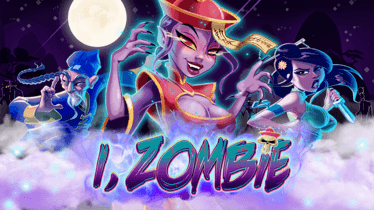 Halloween, that spooky time of year is getting closer and closer, creeping up like a sneaky holiday that it is, but we have just the right suggestion for making the most of it - the new RTG video slot I, Zombie! It’s nothing like the most of Halloween and horror-themed slot machines out there and Grande Vegas customers will be among the first players to be able to try it out on October 10th, the date the game is scheduled to launch across Grande Vegas instant play platform. RTG was possibly inspired by the iZOMBIE a comic book series and super-successful TV show iZombie which both deal, in their own ways, with a regular girl which is actually a zombie and must eat human brain to survive. RTG’s I, Zombie heroes and heroines engage in a battle. Some human, some not - they won’t be able to avoid the zombie feeding frenzy. The ocean allows us to have fun in many different ways; we can do so many fun things in and out of the water - surf, swim, play on the beach, take a ride in a boat, sail and so on. We can also dive into the deep and get to know the ocean life. Many have dived to the bottom of the ocean looking for hidden and forgotten treasures from the past, but you don’t have to rely on legends to profit from what’s below - be kind to the fish and other sea creatures and even sharks will love you and reward you with nice payouts. 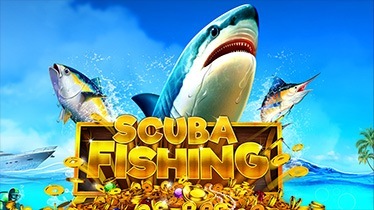 That’s how things work in Scuba Fishing slot, anyway.